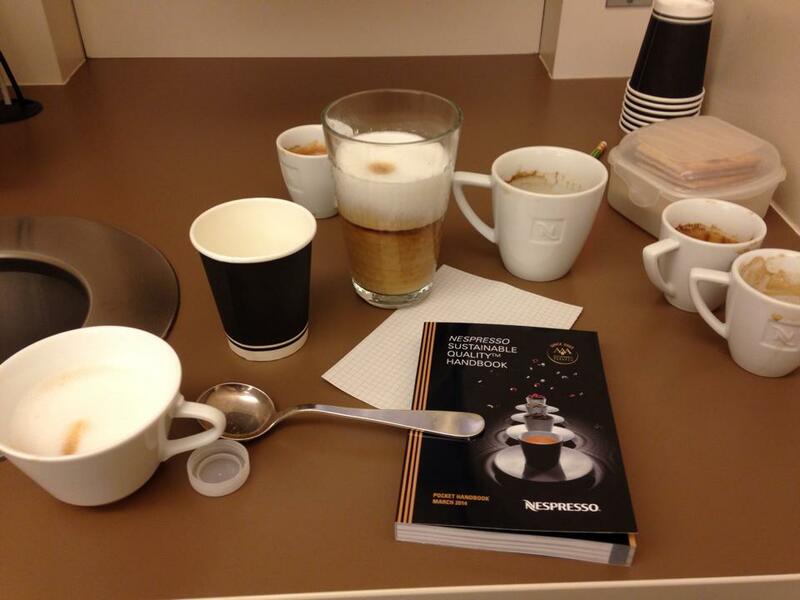 In the last month and a half, FES/SOM joint degree students Brendan Edgerton, Susannah Harris, Sarah Wilson (Smith), and Heather West went from writing final papers to participating in real world sustainability planning with Nespresso. CBEY is proud to announce that, as runners-up in the Nespresso MBA Sustainability Challenge, the team went from submitting their carbon reduction proposal this spring, to being selected as Challenge finalists in May, to presenting to leading thinkers at Nespresso headquarters in Lausanne in June. Donning aprons with CBEY Program Director Stuart DeCew (left), the team also got to get a close look at how the Nespresso process works, and got to try many cups of the final product. Leveraging Costa Rica's 2021 carbon neutrality goals, thereby aligning the project with both Nespresso and Costa Rica's greenhouse gas reduction desires. Learn more about their process, how the experience fits in with their work at Yale, and the key aspects of their approach in The Guardian's Sustainable Business Series. Before making their way to Switzerland, Heather and Sarah spoke with Tim Smedley about their project, as well as the importance of practical, sustainable approaches to business in their graduate school work, and the team had the chance to explain their approach on camera while in Lausanne. Make sure to watch these CBEY rockstars in action and check out the other finalists' proposals. Congrats to the team!